Just a few years ago, Vietnam still conjured up all the terrible pictures of the Vietnam War. But since 1990, when it opened its doors to tourism, a lot has changed. The children of the former colonies from Japan, France, and of course the US started to come back to Vietnam, exploring the beauty and culture of this country. Vietnam is a land in the Asian region that is still largely untouched by mass tourism, other than its neighbor Thailand. an openness and curiosity, which is pretty astonishing with the background of that country’s history. You can explore coastlines that are still untouched, deep green rice fields as well as citadels that are thousands of years old and not to forget the beautiful fauna. Although traveling can be challenging sometimes, a trip to Vietnam is always worthwhile. 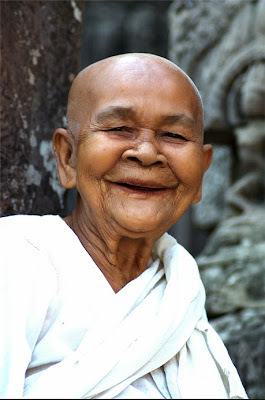 This is where the real Indochina can be found. The best time to travel there is between November and March. The southern part can still be very humid, but hey, being from Fort Mill, South Carolina, we know how to handle humidity, right? the news. The center is the old town with its small alleys and bargainers on the sidewalks of the streets. Streets are named after the goods that have been sold here for a long time. Hang Ca is the street of seafood. Hang Bo is where you can get wicker baskets. In Hang Buom, canvas can be ordered and you go to Hang Non for a new hat. Or, explore Hang Hom for a custom casket. Numerous restaurants, bars, and snack bars can be found everywhere. The old town houses are very narrow, tall, and up to 80 yards wide to accommodate a lot of families, but also give them a street front location. A lot of them were built in the 19th century with sand, chalk, and sugar cane molasses. An excursion to Ha Long Bay is a must and also a UNESCO World Heritage Site. 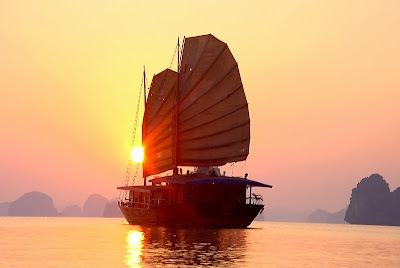 Ha Long Bay and its beauty can best be explored aboard a traditional wooden junk. of mopeds, cabs, buses, and cykos as they call the rickshaws here. Approximately four million people live and work here. Saigon, now Ho Chi Minh City (but the locals still call it Saigon) is an industrial, cultural and educational hub, but still retains vestiges of its colonial past. The former Presidential Palace, the Central Post Office, Notre Dame Cathedral, Cho Lon (China Town) or the Thien Hau Pagoda are well worth a visit. road to the past begins. Water buffalos seem to lazily walk their way through the fields; a herder is chasing his loudly cackling gaggle of geese and the daily life of the farmers centers around only one thing, rice! That’s why the Mekong Delta is also called the rice chamber of Vietnam. Seventy percent of the Vietnamese people work on farms. The many arms of the Mekong River help to pump water into the ditches around the rice fields. From there, the water gets to the fields bucket by bucket. Later on, the fields get drained and dry up and the harvesting of the rice can begin. The harvested rice is then laid out on vinyl for drying. All of this is done without machinery...by hand! the road to the past begins. If you are a connoisseur of Asian food, this is the right place to travel and enjoy the mouth watering dishes the Vietnamese cuisine has to offer. Mostly served, of course with rice. Side note: every time I crave Vietnamese food at home, I visit Asian Roll & Grill on Stonecrest Blvd. off 160 in Fort Mill. Their Pho (Vietnamese noodle soup) and Summer Rolls are to die for. want to greet and welcome the “long noses” – this is what the locals call us Westerners –for obvious reasons. You can travel through Vietnam by backpack, take a guided tour, or travel very comfortably on a river cruise. 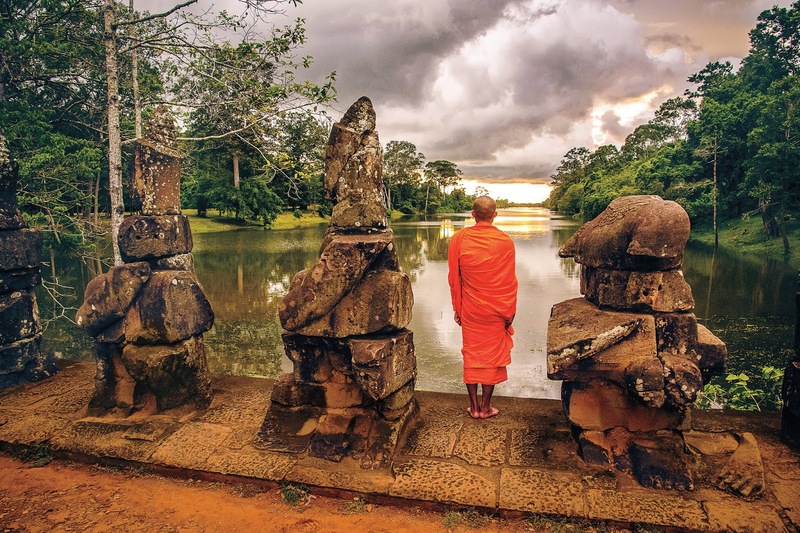 Several river cruise companies offer Vietnam and Cambodia, such as AmaWaterways. They offer a 16 day cruise of Vietnam, Cambodia, the riches of the Mekong from Hanoi to Ho Chi Minh City (Saigon). Looking for fun and adventure? The Fort Mill Magazine Travel Club is the best way to find adventure while traveling and meeting other locals who love to travel. Membership is easy and affordable, and you can enjoy exclusive benefits and handpicked travel destinations. The Fort Mill Magazine Travel Club is planning a Vietnam, Cambodia river cruise in 2015. Seats are limited. Sign up for the Fort Mill Magazine Travel Club via fortmillmagazine.com/ travel_club.